Monday June 5, 2017 from 3:30 p.m. – 6:30 p.m.
Research Canada - Indigenous Health Research from Troy St. Louis Photography on Vimeo. Narrowing the gap in the health and wellbeing of Canada’s First Peoples is the goal of Canadian Indigenous health researchers, community partners and research users across the country. These champions of Indigenous health research address critical health challenges among Indigenous peoples such as the infant mortality rate on Indigenous reserves, which is 14 deaths per 1,000 births—nearly double the national average; the life expectancy among the Inuit, which is 15 years shorter than the Canadian average; and suicide rates among Canada’s Indigenous youth, which are up to 11 times higher than the national average. Health Researchers dedicated to tackling Indigenous health research issues are also helping us to better understand the higher risk Indigenous Canadians have of developing diabetes and its related complications as well as the increased risk of tuberculosis in Indigenous communities. Hepatitis C, HIV/AIDS and cancer are other key areas that these researchers are exploring. The Parliamentary Health Research Caucus on Indigenous Health Research in Canada will feature groundbreaking health research being conducted by Métis, Inuit, First Nations and non-Indigenous health researchers working in partnership with Indigenous communities in Canada. It will stimulate Indigenous health research, create new knowledge, and support research partnerships and the involvement of Indigenous communities and research users in Canadian Indigenous health research. This event will feature up to twenty Indigenous and non-Indigenous health researchers who come from across Canada and who are conducting research under the auspices of these five themes. Researchers will have an opportunity to meet one-on-one with Parliamentarians and provide them with information about their research. Margo Greenwood, Academic Leader of the National Collaborating Centre for Aboriginal Health, is an Indigenous scholar of Cree ancestry with years of experience and research focused on the health and well-being of Indigenous children, families and communities. While her academic work crosses disciplines and sectors, Dr. Greenwood is particularly recognized regionally, provincially, nationally and internationally for her work in early childhood care and education of Indigenous children and public health. Naana Jumah is an OB/GYN and Clinician Scientist at TBRHRI. Dr. Jumah’s research and clinical practice focuses on Aboriginal health and addiction in pregnancy. Through a series of integrated studies, she seeks to organize a model of care that addresses the needs of opiate dependent pregnant women in the Northwestern Ontario and improve maternal and neonatal outcomes. Dr. Jumah holds a BASc from U of T, a Doctorate in Medical Engineering from Oxford and an MD from Harvard. She completed her residency in Obstetrics and Gynaecology and specialization in Addiction Medicine at U of T.
Margot Latimer is an Associate Professor in Dalhousie University’s School of Nursing, as well as Faculty at the Centre for Pediatric Pain Research, IWK Health Centre. She co-leads the CIHR funded Aboriginal Children’s Hurt and Healing (ACHH) Initiative with Eskasoni Health Director, Sharon Rudderham, working closely with community to mobilize Indigenous knowledge. Dr. Latimer is the Indigenous health research lead of the Chronic Pain SPOR and also co-chairs the Indigenous Health Research Advisory Committee. Sharon Rudderham is Health Director of the Eskasoni Community Health Centre on Cape Breton Island. She co-leads the CIHR funded Aboriginal Children’s Hurt and Healing (ACHH) Initiative with Dr. Margot Latimer and has served as a member of the Nova Scotia Provincial Health Council. She has been instrumental in the development of the Unama’ki Client Linkage Registry (a healthcare database for the 5 Cape Breton Mi’kmaq communities). Rudderham co-chairs the Indigenous Health Research Advisory Committee. Malcolm King is a First Nations health researcher at Simon Fraser University. From 2009 to 2016, he led the CIHR Institute of Aboriginal Peoples’ Health as its Scientific Director, spearheading the development of a national health research agenda aimed at improving wellness and achieving health equity for Indigenous Peoples in Canada. Dr. King was honoured with a National Aboriginal Achievement Award in 1999, and in 2016 was named a Fellow of the Canadian Academy of Health Sciences. Karen Bakker is a Professor, Canada Research Chair, and Co-Director of the Program on Water Governance at the University of British Columbia. Her research focuses on water insecurity worldwide, with a current focus on sustainable water governance and Indigenous law in northern Canada. Dr. Bakker is a Rhodes Scholar, a member of the Royal Society’s College of New Scholars, and a member of the Board of the International Institute for Sustainable Development. Chantelle Richmond, Biigtigong Nishnaabeg (Pic River First Nation), is an Associate Professor of Geography and Director of Applied Indigenous Scholarship at Western University. Her research draws from a community-centered model that explores the intersection of Indigenous people’s health, knowledge systems and connection to land. With a greater goal of improving Indigenous health equity, Richmond engages in research approaches that empower Indigenous communities to meet their visions of self-determination. Caleb Behn is Eh-cho Dene and Dunne-Za from Treaty No. 8 in Northeastern BC. He is the Executive Director of the ‘Keepers Of The Water’, an indigenous led grassroots organization dedicated to protecting water in the Arctic Basin. Caleb graduated from the University of Victoria Law Program holding a Concentration in Environmental Law and Sustainability. He is the subject of the award winning documentary film “Fractured Land”. His current research focuses upon unconventional energy, indigenous health and water governance. Colleen Anne Dell is a Professor & Research Chair in One Health and Wellness at the University of Saskatchewan. Her research is grounded in a community-empowered participatory approach. Her research interests include the relationship between identity and healing from drug addiction, substance abuse programming, animal assisted interventions, and evaluation. Her research areas are specific to Indigenous peoples, criminalized women and drug-using populations. She is a Senior Research Associate with the Canadian Centre on Substance Abuse. Rod McCormick (Kanienkehaka-Mohawk) is a Professor and BC Government endowed Research Chair in Aboriginal Health and Education at Thompson Rivers University. Before moving back to his partner’s home community of T’Kemlups te Secwepemc, Rod was a psychologist and counselling psychology professor at the University of British Columbia for 18 years. Dr. McCormick’s research focuses on community capacity building in mental health and research as well as the reclamation of traditional forms of healing. Kim Matheson is a Professor and Joint Research Chair in Culture and Gender Mental Health at the Royal Ottawa’s Institute of Mental Health Research and the Department of Neuroscience at Carleton University. Her research concerns the intergenerational effects of the Indian Residential School system on the mental health of descendants. She works in partnership with organizations and communities in the Nishnawbe-Aski Nation, seeking holistic approaches to promoting community resilience to enable their youth to thrive. Amy Bombay’s primary areas of inquiry have explored the links between historical trauma, contemporary stressor exposure, and mental health and wellness among Indigenous peoples, and on the important role that cultural identity plays in relation to well-being. Her research exploring the different pathways by which Indian Residential School trauma is transmitted across generations has been particularly influential in educating the public about the long-term effects of colonization and in influencing policy and practice related to Indigenous health. Caroline Tait is Professor, Department of Psychiatry, University of Saskatchewan and co-lead with Dr. William Mussell of First Peoples First Person a national Indigenous research hub, Canadian Depression Research and Intervention Network. Dr. Tait holds a PhD from McGill University in Medical Anthropology. 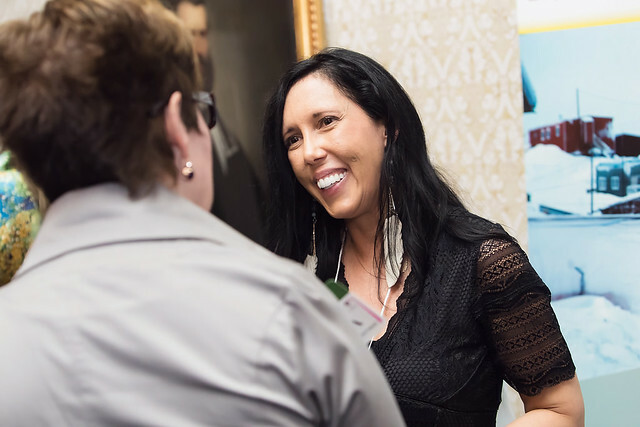 She is a member of the Métis Nation of Saskatchewan and has conducted community-based health research in partnership with First Nations and Métis communities and organizations for the past 20 years. Dr. Gonzalo Alvarez is a scientist and lung specialist at The Ottawa Hospital, tuberculosis (TB) consultant for the Nunavut Department of Health and associate professor of medicine at the University of Ottawa. In 2011, he founded Taima TB, which means “stop TB” in Inuktitut. This research program is aimed at helping Inuit in Canada stop the transmission of TB in their communities. It has increased TB screening, improved diagnosis and made new therapies available. Jeff Reading is the inaugural British Columbia First Nations Health Authority Chair in Heart Health and Wellness at St. Paul’s Hospital and Professor, Simon Fraser University (2016). On March 8, 2017, Dr. Reading launched the I-HEART Centre at Providence Health, St. Paul’s Hospital. Jeff obtained his PhD in Public Health Sciences, University of Toronto (1994). He has served as inaugural Scientific Director of the Institute of Aboriginal Peoples’ Health at the Canadian Institutes of Health Research (2000-2008) and currently chairs the peer review committee. Jeff’s broad interests include First Nations heart health and wellbeing and community engaged research. Mary Smith is engaged in an Indigenous methodology that centres contextual Indigenous ontology and epistemology in which to conduct research in tandem with the community. This brings to the fore Indigenous methods that unveil stories shaped by a colonizing history. She has completed a retrospective autoethnography of the lived experience of kidney donation that conveys how culture intersects with health care. Furthermore, through surveys and hermeneutic interviews Dr. Smith has explored Indigenous learning in NP education. Deborah Van Dyk is a research coordinator at The Ottawa Hospital and works as a public health nurse with the Government of Nunavut. She has been managing the Taima TB research program since its creation in 2011. Taima TB brings together those affected by TB and those committed to stopping TB to implement and evaluate innovative strategies intended to halt the spread of TB. Partners have identified Taima TB as a model for health research collaboration. Carrie Bourassa is the Chair of Northern & Indigenous Health at Health Sciences North Research Institute and the Scientific Director of the Institute of Aboriginal Peoples’ Health at the Canadian Institutes of Health Research. Prior to her recent appointments in October 2016 and February 2017 respectively, Dr. Bourassa served as an Indigenous community-based researcher at First Nations University of Canada as a Professor of Indigenous health studies. Carrie’s research interests include the impacts of colonization on the health of Indigenous people; creating culturally safe care in health service delivery; Indigenous community-based health research methodology; HIV/AIDS among Indigenous people; end of life/palliative care among Indigenous people and Indigenous women’s health. She is Métis belonging to the Regina Riel Métis Council #34. Janet Smylie is the Director of the Well Living House Action Research Centre for Indigenous Infant, Child, and Family Health and Wellbeing, CIHR Applied Public Health Chair, and Staff Physician at St. Michael’s Hospital. Her primary academic appointment is as Associate Professor at the Dalla Lana School of Public Health, University of Toronto. Dr. Smylie’s research focuses on addressing Indigenous health inequities in partnership with Indigenous communities. A Métis woman, Dr. Smylie acknowledges her family, teachers, and lodge. Dr. Janet McElhaney is an international leader in aging research. She has been appointed to CIHR’s Institute Advisory Board on Indigenous Peoples’ Health. As VP Research & Scientific Director of Health Sciences North Research Institute (HSNRI) she leads the Population Health Ecosystem for Ontario’s Northern andIndigenous CommunitieS (PHEONICS), HSNRI’s collaboration on health innovation using digital health technologies. Her research focuses on self-determination of Indigenous communities to support healthy aging through collaborative health and social care partnerships. Brianne Wood is a PhD candidate in Epidemiology at the University of Ottawa. Her dissertation focuses on eliciting women’s preferences among cervical screening modalities. In 2012, Brianne joined a team of researchers that partnered with Anishinaabek communities in Northwestern Ontario to understand how self-collected sampling may work in remote First Nations as an alternative screening option. She continues to work with Indigenous women and other marginalized groups to tailor cervical screening recommendations for hard-to-reach communities. Roche Diagnostics Canada is the market leader in its sector and offers a uniquely broad product portfolio and innovative solutions to physicians, patients, laboratories, hospitals and researchers in the fields of molecular biology, point of care, pathology, clinical chemistry, immunology and life science. Founded in 1818, Dalhousie University is one of Canada’s oldest universities, attracting more than 18,500 students from around the world. Located in the heart of Halifax, NS with an agricultural campus in Truro, NS, the university blends world-class academic programs with leading-edge research. For over a century, Merck, a leading global biopharmaceutical company, has been inventing for life, bringing forward medicines and vaccines for many of the world’s most challenging diseases. Through our prescription medicines, vaccines, biologic therapies and animal health products, we work with customers to deliver innovative health solutions. Visit www.merck.ca. At SFU, we live and work on the unceded traditional territories of the Coast Salish peoples of the xʷməθkwəy̓əm (Musqueam), Skwxwú7mesh (Squamish), and Səl̓ílwətaɬ (Tsleil-Waututh) Nations. SFU is committed to becoming a world leader in knowledge mobilization, building on a strong foundation of fundamental and applied research. SFU is proud to have strong partnerships with aboriginal communities and remains committed to strengthening its commitment to reconciliation.